So I went to install my Feed tow hooks and have 2 problems. 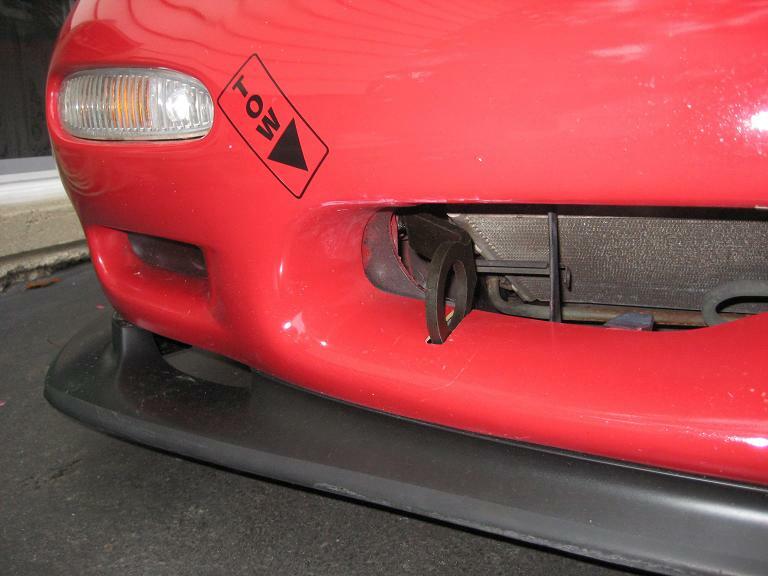 1) The front tow hook doesn't clear the bottom of the 93 bumper. Anyone else have this problem? I've called other FD owners and they dont have a tie down in that spot either. Am I crazy or am I missing a part of my car? I have a 93 touring and I confirmed that a 94 touring doesnt have it either. Any ideas? 1) The stock bumper needs to be cut. 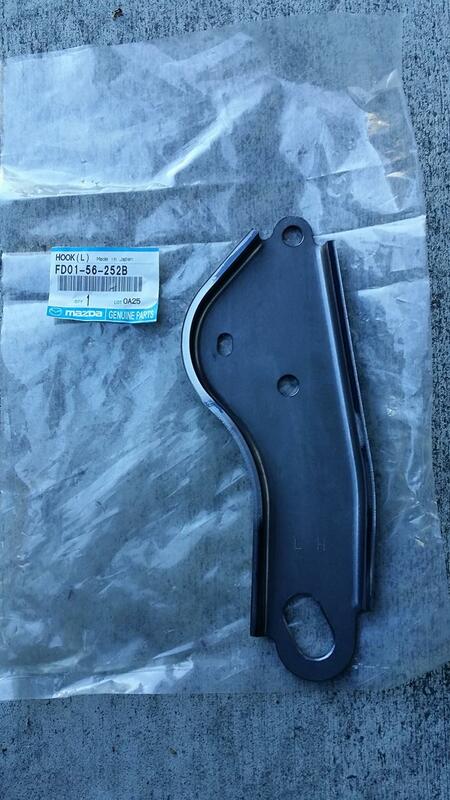 2) You need to buy the tie down in the rear from Mazda, I can check the part number for you tomorrow if you'd like. Is you answer to #1 because you installed them? Sweet, a part number would be awesome thanks! Well, to update this thread. Ray at Malloy said his parts manual says there are two rear hooks listed (~$25 each). He checked his personal car and to his surprise he didn't have either. Also, I've confirmed with quite a few owners including Fritz Flynn and others who have had multiple FDs and it looks like the rear came on very few cars. Ray suggested that maybe they were taken off at port which wouldn't surprise me. Just and FYI. Yup, the rear tie down is removed at the port. Mine fit fine with the OEM front bumper, but if a remember correctly I had to modify the mount for the AC condenser sightly. Yes, I have them on my car. Sorry about the part number I seem to have misplaced my parts catalog and have yet to find it. Ah, crap... my car doesn't have the stock rear tie-down either. Looks like I am calling Ray Crowe again! I never cut my front bumper and my FEED hook fits fine. 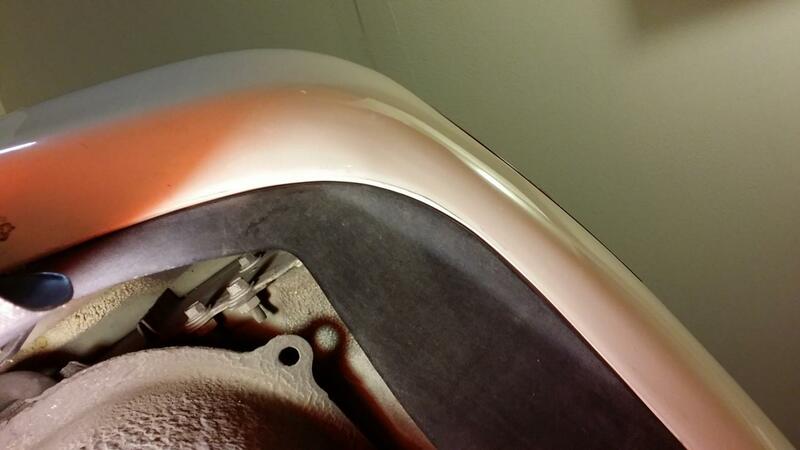 I probably oughtta put a little tape on the paint so it doesn't get scratched, but it does fit without *gasp* cutting. Ooohhhh, cut the bumpers men..
Dan you always come thru! I know this is an old thread but I have a few questions. 1. Does anyone have a picture of what the rear tie downs look like on the car? Maybe someone that has both in a pic? 2. Why can the aftermarket front hook be a bit longer and slightly higher? Then no rubbing or cutting the bumper and if you had to strap it down to trailer the strap will not rub the bumper? Sorry if this has already been covered. I am searching for towing solutions for my FD. Ripped the fuel lines loading on my old trailer and now resolved that buy getting better trailer. Now need to figure out a better way to tow or strap down the car. Reviving an old thread to add some pics. This thread has helped me locate the part number for the tow hook tie down so i was able to order from Ray last year. Over the holidays, i finally got to install my FEED rear tow hook and snapped some pics. 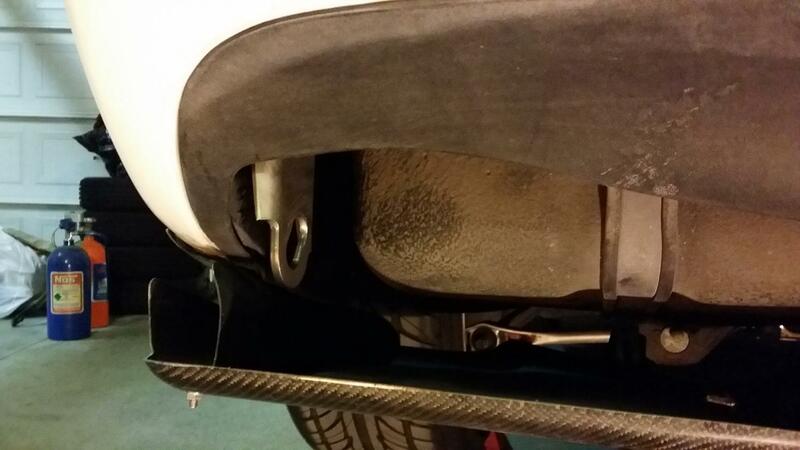 hope this will be helpful for other FD owners when searching for rear tow hook info. Continuing with the theme of thread revivals, this one brings me to further questions. 2. This one is almost a no-brainer, but what the hell. 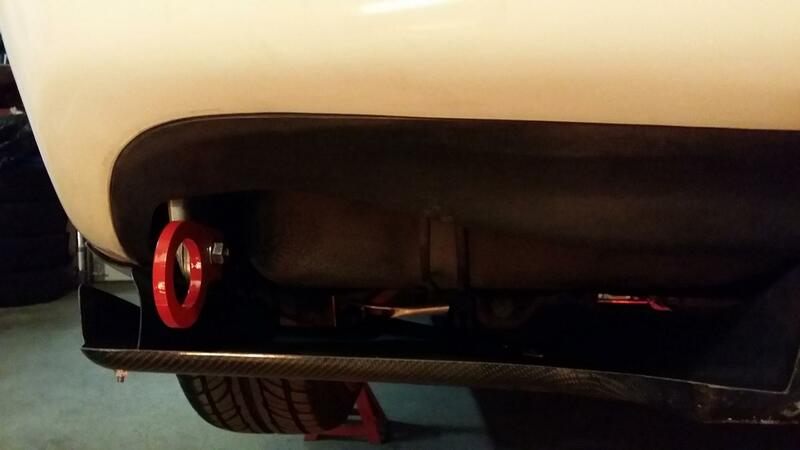 I have the Amemiya style street diffuser, and it appears that adding an OEM rear tie down would require cutting of the diffuser, so adding the FEED rear tow hook as well, you certainly must do some cutting. Hmmm, anyone got pics of the above two examples? 1. FEED Type II front bumper doesn't require any cutting to install the front tow hook. 2. yes, the Amemiya street diffuser will require cutting. 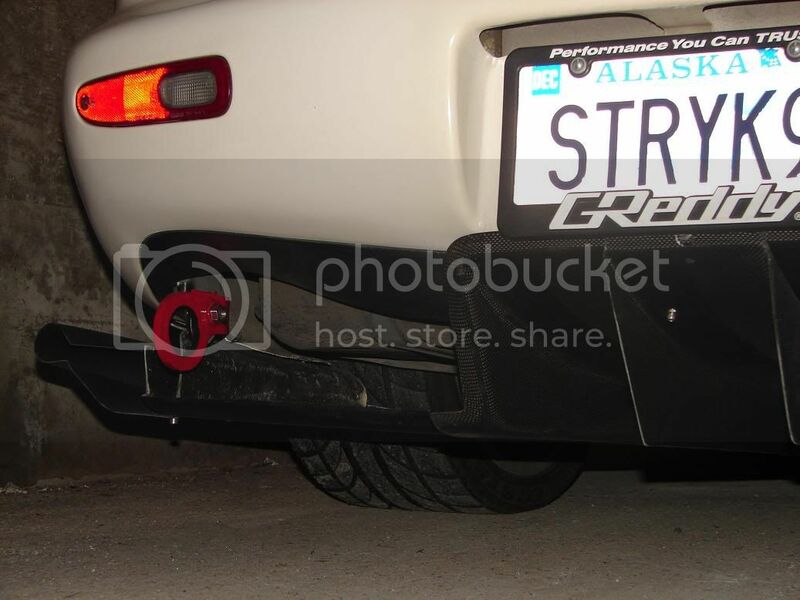 I don't know anyone with a rear tow hook running that diffuser. Hate to have the diffuser cut, but, it seems it is the only option. Oh well, I am sure it will not look too bad...............I hope. *My car has an OEM hook on each side of the rear. Maybe I'm missing something, but (on the rear) what is the purpose of bolting a tow hook onto a tow hook? Seems weird? I mean the stock rear tow hooks work fine during the times I've used them. Wouldn't bolting another hook thru the eyelet of the stock hook introduce more points for potential failure, more bolts to loosen, and extra weight? odd...i definitely don't have a tow hook in the rear. i was told that the vehicles shipped from japan WITHOUT the tow hooks. that doesn't make much sense to me, but whatever...i definitely don't have either in the rear. ordered, though. thanks, ray crowe! IMO, it's not a 'tow hook'. As mentioned earlier in the thread, it's a tie-down. Putting the heavy-duty red ring at the end doesn't change that. It was meant for securing the car during shipping and probably pulled off as part of 'dealer prep'. 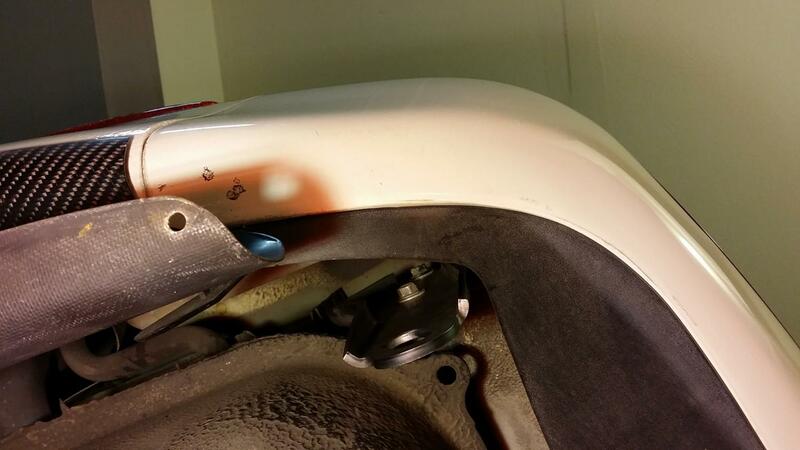 The stock rear tie-down bracket is strong in tension, but pretty weak from side-to-side. Seems like it would bend relatively easy. Probably really only appropriate to secure the car on a trailer...which is why I got one. Have a second tie-down and toying with the idea of using two to make it stronger in deflection. Last edited by Sgtblue; 04-02-15 at 08:13 AM. 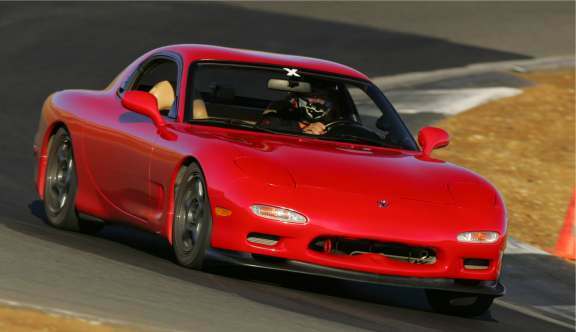 fair enough - mazda even refers to it as a "tie down" and if you talk to any parts person that's not ray they'll shrug and say they don't have a tow hook, but they have tie downs. the point to attach a "hook" to the end would be for a more prominent, easy to catch fixture...as far as i can tell. 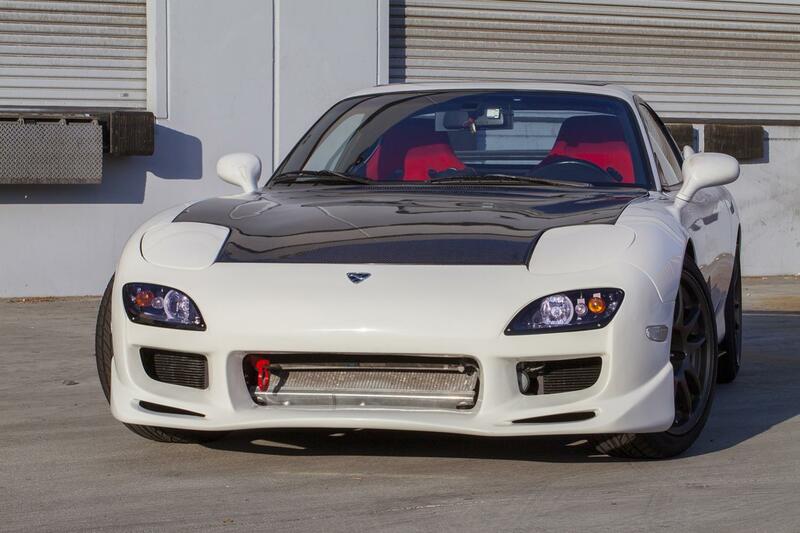 Need help on forming a solid price for my FD!